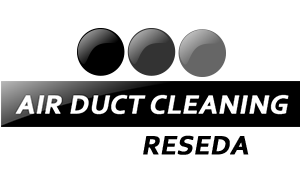 Air Duct Cleaning Reseda is a company specializing in anything related to the condition of your air ducts. Our technicians and specialists are capable of performing different kinds of services for you, which include duct and HVAC unit cleaning, as well as repair and replacement. Our experience in the field has also taught us to study the problem carefully first before going into action. Doing this allows us to get a better grasp of the situation and come up with a more effective solution. It may seem like we take something that sounds so simple very seriously, but the subject is something that shouldn’t be underestimated. Air ducts are an integral part of a building, allowing air to circulate inside. Meanwhile, the filtering system attached to them assists in the ventilation and even regulates its temperature. If any of these have dirt or damage, it will cause a decrease in the quality of air. Furthermore, attempting to fix them requires dedication and skill; one wrong move could potentially make things worse. We also use the right set of tools suited for the job. We aim to provide the best quality service we have to offer, and we can take care of your duct problems with such speed that is sure to impress. This way, we believe that it's worth hiring us. If you need someone to handle all your duct problems, “Air Duct Cleaning Reseda” is the company to call. You can easily reach us online or by telephone. If you think your duct or filter is experiencing a problem, call us and one of our specialists will be on their way. With us, you won’t have to worry about breathing in dirty air!